Make it click! Create a Quiz. Make sure you include a variety of listening material for practice, e.g. songs, news, dialogues, etc. They should get exposed to different accents and voices. Try to find material that interests them. 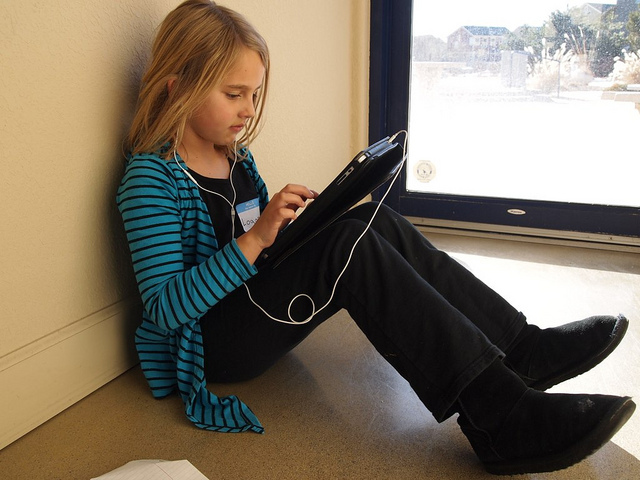 In order for students to improve their listening skills, it’s not enough to just have them listen passively. They must be active in their listening and think of answers, opinions, etc. Here is a list of question types you can create. Use multiple choice quizzes to check for meaning. For example, ask what the meaning of an idiom is that was used in the recording. Who said what? Write down a sentence that was in the dialogue and use the multiple choice question type to list all the possible people who might have said that sentence. Which statements are true? Use the question type “Checkboxes (several answers correct)” and have several correct and wrong answers. Ask your students to fill in the blanks. This will help them focus on the text at word level. They can help students with learning new vocabulary or grammar points. The text can either be taken directly from the transcript or you can make up your own, based on the transcript. If the goal isn’t for students to practice their writing, you can also have them choose from a dropdown or use the drag & drop question type. Have them write an essay where you ask them about their opinion. 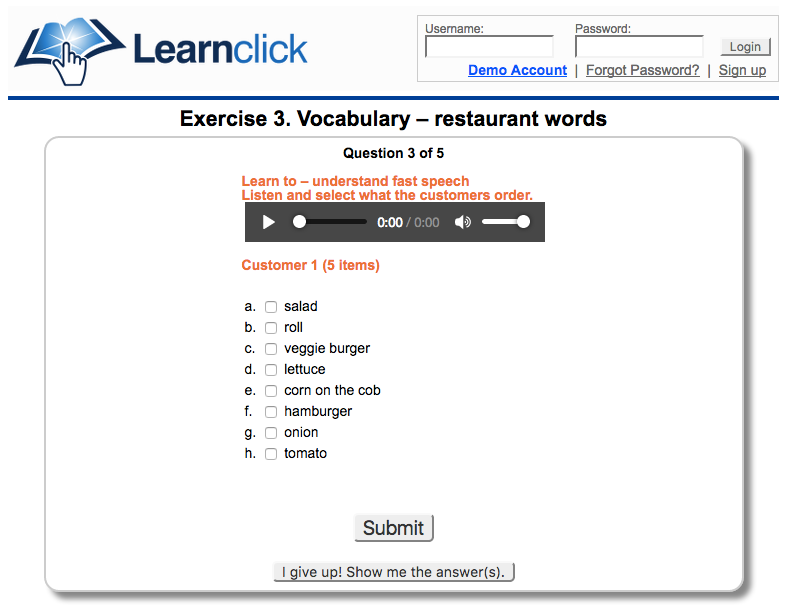 With learnclick.com you can not only create all the question types mentioned above easily, but you can also embed videos from youtube or upload a mp3 file to our server and have it play inside the quiz. As a pro member you can have the answers recorded. If you choose to ask open-ended/essay questions, you can annotate the text and have the students view your feedback as a pdf file.